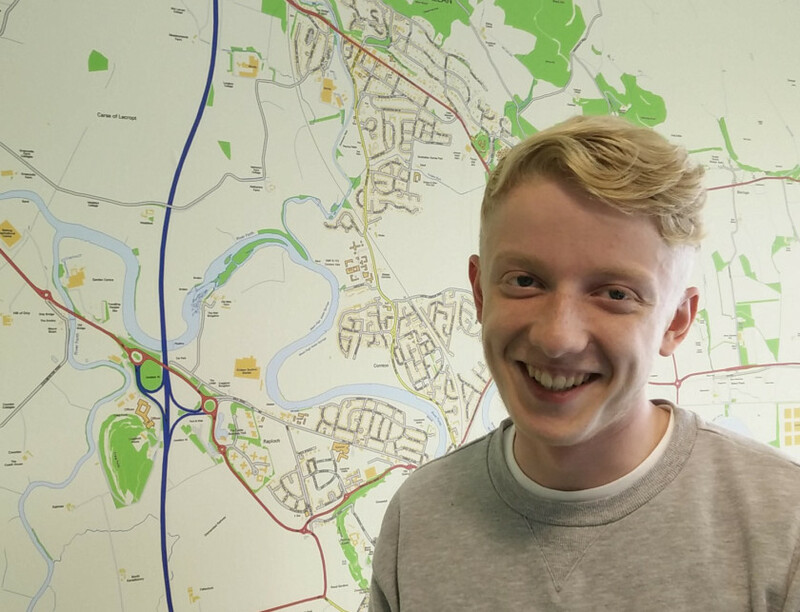 My name is Jack, and I’ve been an apprentice at thinkWhere for 8 months. During my time here I’ve got to be part of the whole agile experience, as thinkWhere recently transitioned over from the traditional waterfall development. At first, it was overwhelming with terminology, scrum, sprint, kanban, story etc. But over time I came to realise I’m not playing rugby, and these terms actually make a difference in development. The experience so far has been invaluable, I’ve discovered the monotony fixing syntax errors and satisfaction of something working. If there’s anything I have learned from working here, it’s that just because there is a goalie, doesn’t mean you can’t score, in other words there is always solution, no matter the problem. The teams I have worked with have always been helpful towards my development, gradually building up my confidence to work with bigger and better projects. As my time comes to a close, my experience at thinkWhere has been a necessary stepping stone in moving out into the world. I think I’ll remember my experience here, it’s been one big push into the working world, and I’ve gained a lot of new skills from my time being here. This was for the Support team (who have to keep customer storage statistics in check), in order to check a client’s current storage usage. I used PHP to write it all, developing it on one of our test servers and using PhpMyAdmin to print database results and to produce a history list. One the later projects that I have worked on. The idea is to create a more sophisticated and automated approach to displaying customer data, in this case it was to create a portal which displayed all the necessary information about a client’s usage statistics. Still a work in progress, but it will contain necessary information such as how much memory they are using, how much support they are entitled to via the phone etc. This not only speeds up our work efficiency, as there is less processing that needs to be done in the monthly reports, but also allows the customers more visibility of what they are using. The most well received project was one I did on the storage reports. This application will run a batch file which reports the storage available in each server. This is incredibly useful as there are many different drives across different servers that need to be regularly checked. These are checked in real-time to ensure there is accuracy before making any appropriate decisions. This application will daily save the current storage into a CSV in case they need to be reviewed at any point. There is also a summary which produces an overlay summarising any discrepancies in storage. This application was built on php and batch scripts. This project required a lot of research in order to gain a better understanding of how to use scripts in conjunction with php.